Foreign investors continue to take profit on South Korea’s top two chipmakers Samsung Electronics Co. and SK Hynix Inc., winners in the last two-year boom in memory chips, on bets that their peak days are gone. Samsung Electronics, the world’s largest chipmaker by sales, saw its shares fall 1.99 percent to close Thursday at 44,250 won ($39.35), the lowest since April 2017. It briefly touched the 52-week bottom. Its shares closed Friday at 44,100 won, down 0.34 percent from the previous close. Shares of fellow chipmaker SK Hynix finished Friday 0.27 percent lower at 74,500 won, after losing 1.6 percent the previous day. Compared with the beginning of June, Samsung Electronics has lost about 14 percent of its market value and SK Hynix more than 18 percent. 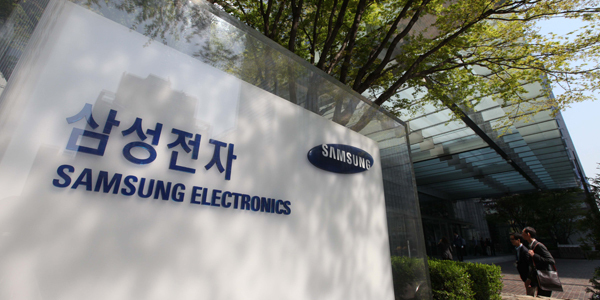 Foreign investors, including Morgan Stanley and Goldman Sachs, led the Thursday sell-off, unloading 80.2 billion won in shares of Samsung Electronics and 70.9 billion won in SK Hynix. They acted out their changed position as more joined the conviction that the boom years for chipmakers were coming to an end. Shares of U.S. chipmaker Micron fell to their lowest level since May following a price target cut from Wells Fargo on Wednesday (local time). The Wells analyst lowered the price target from $70 to $63, citing a downward pressure on DRAM and NAND flash memory prices and increased capital spending to fund next-generation chips. Competitive investment and capacity addition by the three existing leaders in Korea and the U.S. plus a newcomer from China that vowed to mass-produce flash memory from next year has raised alarms about oversupply that could cut prices and profitability. Last week, Morgan Stanley also downgraded its outlook for the semiconductor industry, citing rising inventory levels and “signs of overheating.” The firm lowered the industry rating from in-line to cautious, its lowest rating which means its analysts believe the sector is likely to underperform the market over the next 12 to 18 months. Analysts said the foreign selling spree on Korea’s two most valuable stocks may also have been triggered by the strengthening U.S. dollar. Investors have been turning risk averse, pulling money out of fragile emerging economies in favor of safer U.S. assets over fears of the escalating trade war between China and the United States.